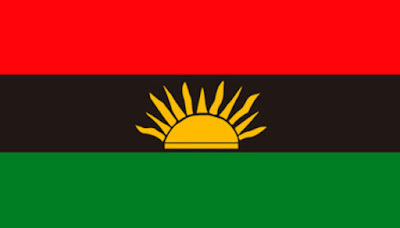 The Indigenous People of Biafra has relocated its world administrative headquarters from London to Langenfeld, Germany. According to IPOB Media And Publicity Secretary, Comrade Emma Powerful, the office will be officially opened by the organisation’s, Deputy Leader, Uche Mefor and members of the ruling Directorate of State (DOS) nest Friday and Saturday. It is also to notify all friends and well wishers of Biafra of IPOB’s that the new address is where “authentic information regarding the agitation for Biafra liberation will emanate from”, he said. The group’s spokesman implored the public to desist corresponding with any other office, pointing out that IPOB now only has official regional liaison offices in London, United Kingdom, Tel Aviv, Israel, Ankara, Turkey, New Delhi, India, Los Angeles, California, USA. Many more are expected to be opened in major countries of the world before the last quarter of 2018, said Powerful. The offices will continue to serve as regional points of contact, but are not authorised to issue any diplomatic directive. That prerogative, he reiterated, is the exclusive preserve of the world headquarters in Langenfeld Germany, under the direct supervision of Mazi Chika Edoziem, the head of the Directorate of State of the Indigenous People of Biafra. According to him, any correspondence from any other quarter not sanctioned by Langenfeld Germany and signed by Mazi Edoziem should be regarded as fake. “Our legendary discipline, which has today made us the preeminent freedom fighting movement in the world today, must be maintained at this critical period. Corrupt politicians, worried at the impact and level of compliance with our election boycott in Anambra State will stop at nothing until a significant proportion of Biafrans succumb to their pressure to take money and abandon the quest for Biafra freedom as some groups have done. We are calling on all Biafrans, especially those in Europe, friends of Biafra, lovers of freedom, men and women of goodwill across the globe, to come and be part of this epoch making event in Germany on 8th and 9th of December this year”.